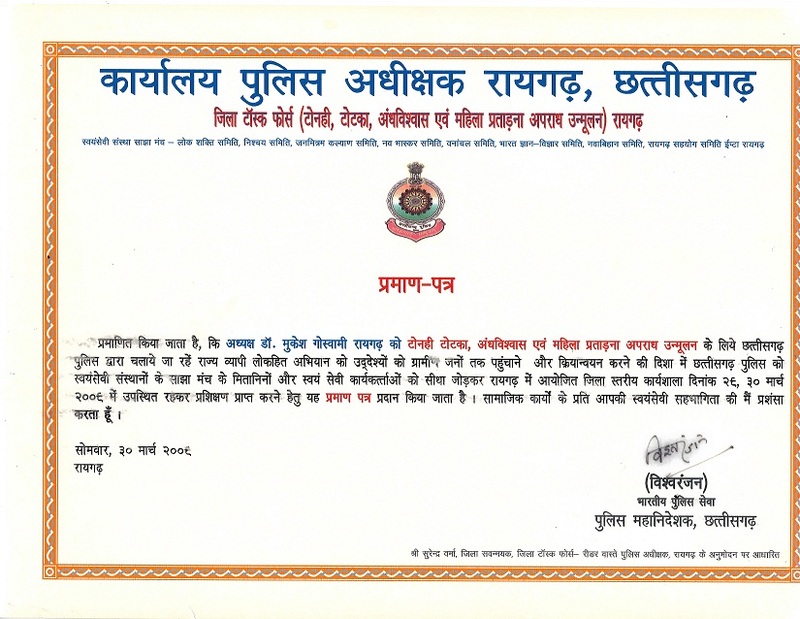 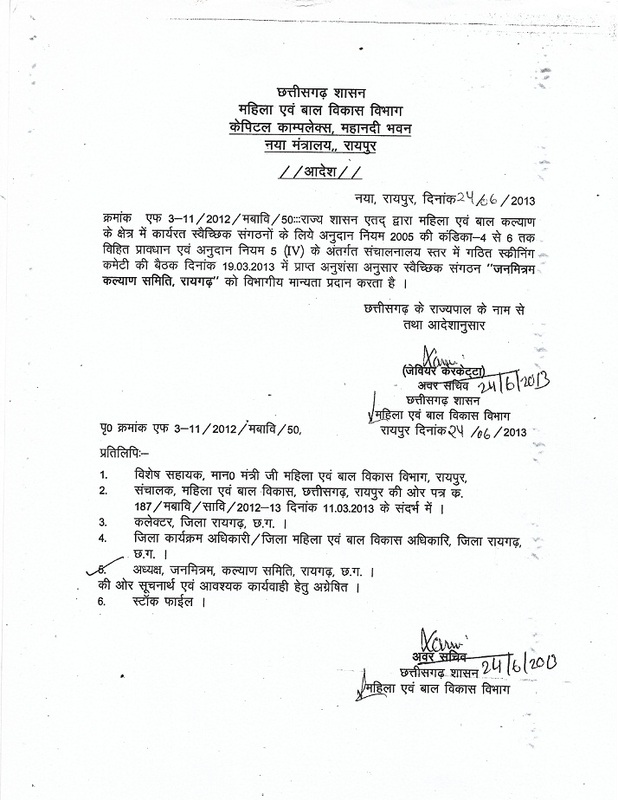 Certificate by flood and disaster management cell, office of the collector. 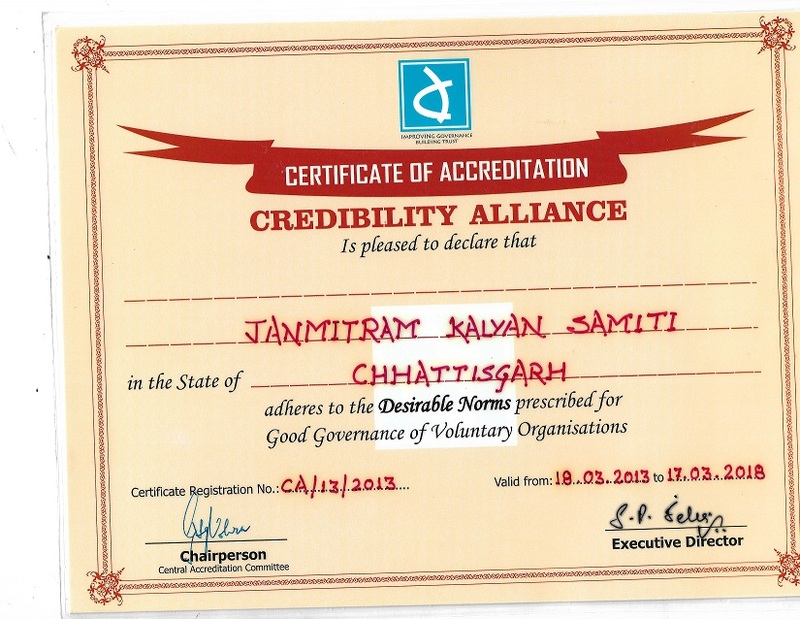 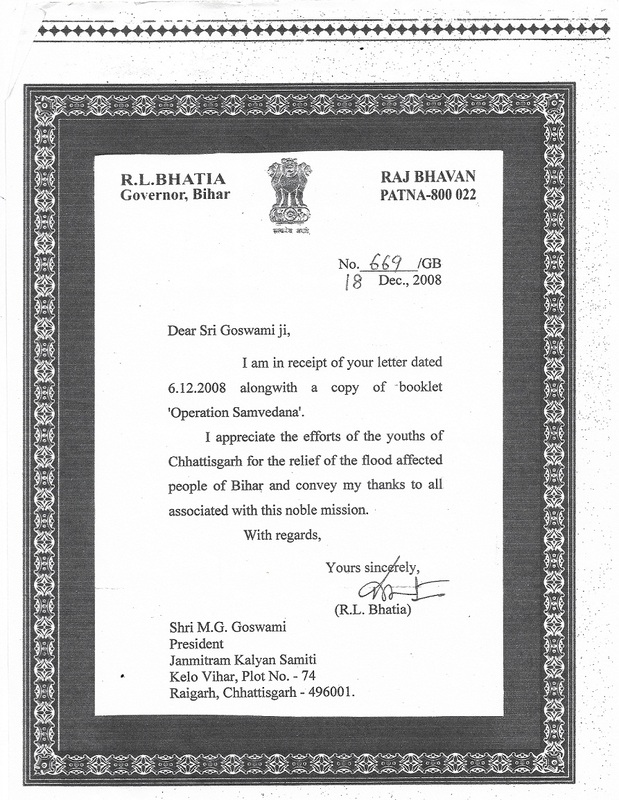 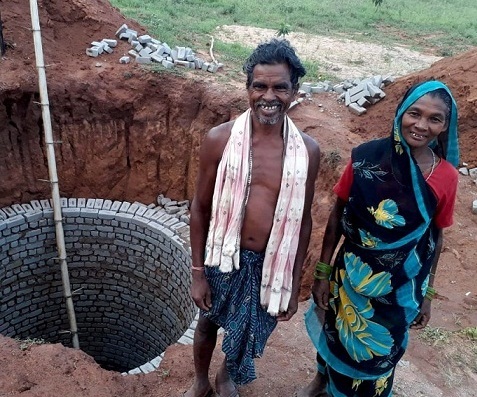 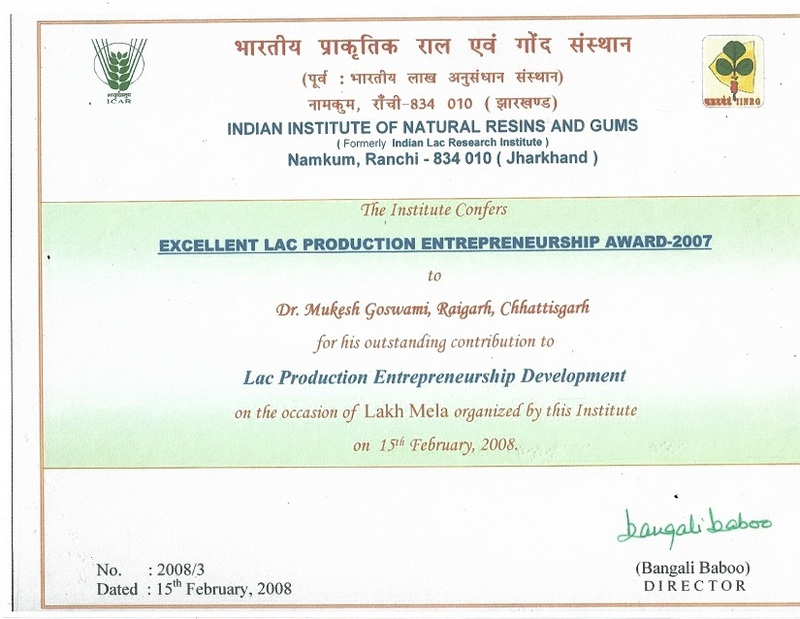 Janmitram achieved this certificate in 2011 for its fantastic efforts to save flood affected people in Raigarh. 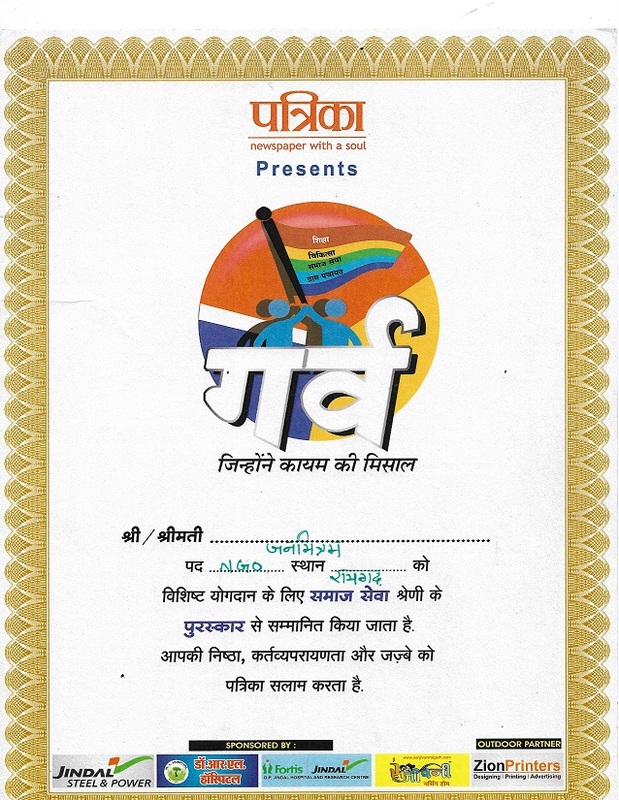 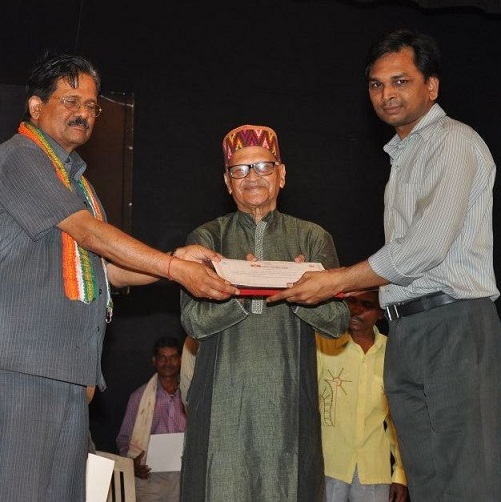 Certificate by ‘Beti bachao beti padhao campaign’. 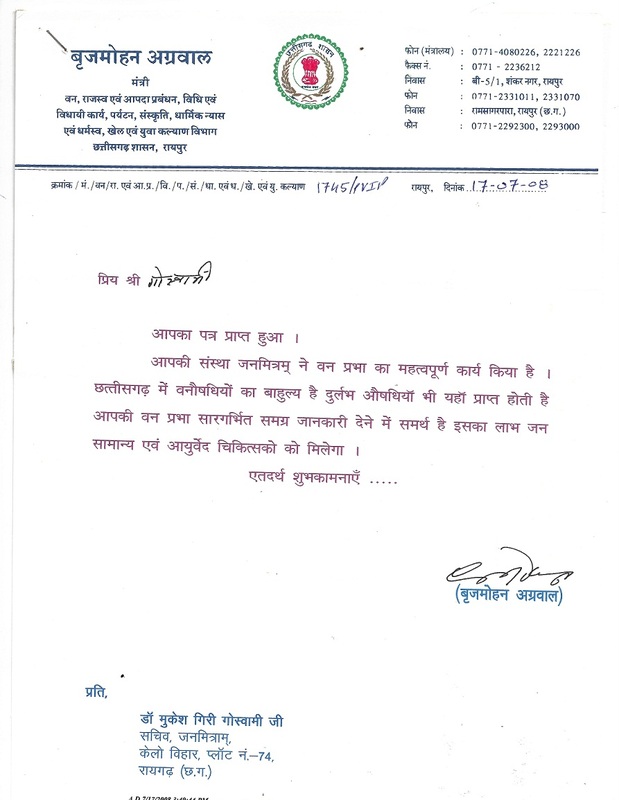 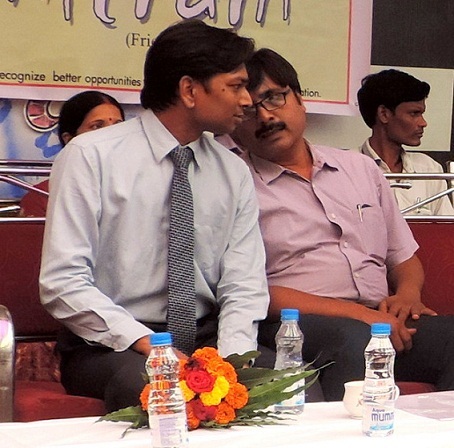 Excellent collaboration with ‘Beti bachao beti padhao campaign’.